Description: Diapason satellites plus dual Double Eagle subwoofers. 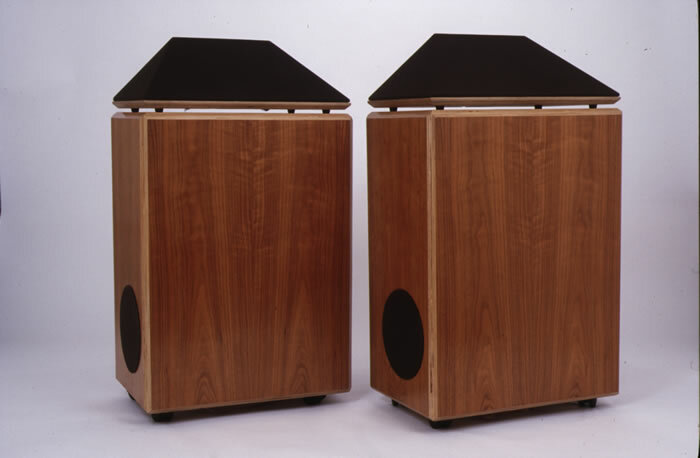 Five-way, 16-speaker/channel dynamic loudspeaker system. Frequency range: 23Hz–22kHz. Power capacity: 250W music, 800W peak. Rated impedance: 6 ohms. Dimensions: 40″ H by 23″ W by 15″ D overall. Weight: 145 lbs. Manufacturer: Shahinian Acoustics Ltd., Web: www.shahinianacoustics.com.